Isn't it curious? There are many, many resources that will teach you to present better. An alien who landed on earth might assume that powerful communication is formal communication. When it really matters, it would seem that one person presented and a group listened until somehow a decision was made or action happened. This would be a reasonable assumption, but it would be dramatically inaccurate. Most of the communication with power does not occur in presentations. It occurs in the conversations around the edges of presentations. It occurs in less formal, less predictable contexts. When has someone taught you how to make conversation in a way that protects the integrity of your message while making room for collaboration or negotiation? It has probably happened, but not a in a classroom or training room. It has happened when a mentor says, "next time, try this." When I ask people what they want in their lives, they immediately think about the things they don't have. I have to remind them that much of what is in their lives now, they want to protect and grow in the future. It's hard to build a compelling vision of your future with blocks you've never seen. It's easier to lay a foundation with the things you know you value. It's not just about being grateful. It's about knowing that your best chance to a future that satisfies you is to build on what is already working. Take some time and make a list: there are things and people and experiences and feelings and skills that you have now and want to continue to have in the future. 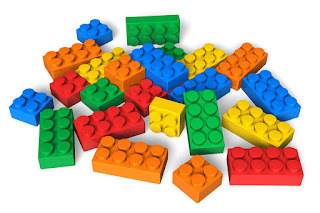 These are your building blocks. Once you know what they are, you can decide how to arrange them and what to add. Then you'll have goals that satisfy you even before you achieve them. If you break your arm, it needs to be fixed. If it is not fixed, it will heal, but it may not heal properly. There may be complications. If you break the screen on your cellphone, it may have to be fixed. If the crack is inconspicuous, you may choose to continue to use the phone. 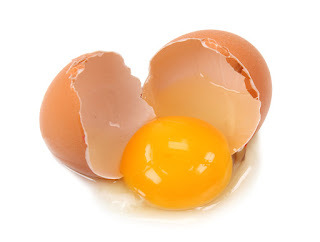 If you break an egg, you can make breakfast. Some breaks open up new possibilities. They don't need to be fixed. They need to be used. When people come to one of my courses, they often assume that if something has broken, it will need to be fixed. It will need to be made whole and functional again. But sometimes, they have cracked an egg. They need to stop trying to fix it and learn how to cook. 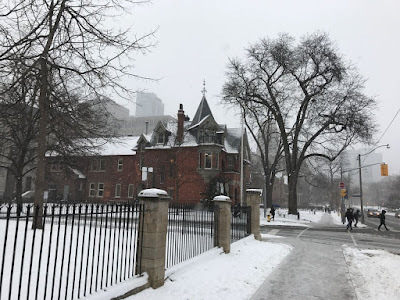 This is how February feels in Toronto. If you're not from a northern city, remember this picture as you read the rest of the post. Those of you who love #nlp might have noticed something in the sentence above. I said that the picture could show you how February feels (not how it looks). As I am writing, February looks like a bright blue sky shining on clean white snow. It's postcard pretty. But it's not how most people are feeling in February. John Ginder is one of the founders of NLP (neurolinguistic programming). He has said, "Difference is the difference that makes a difference." What does that mean? It means that before you can grow or change, you need to let new information into your system. But your system (your brain/mind/body all working together) automatically filters out most new information. It takes will power to pay attention to something you don't already expect. Which brings me to the picture above. 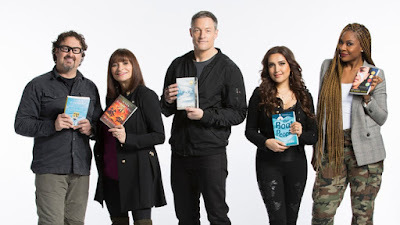 Canada Reads just launched its books and their defenders for 2018. Maybe you will take the time to read the five books and play along when the debates start. I will. And I am pretty sure already that I will not like all five of the books. That's sort of the point. You might get stronger by confirming biases and over learning what is already familiar. But you won't grow. You won't change. You won't open up new possibilities.